Celebrate Chinese New Year, also called Chinese Spring Festival, by joining us for a long-standing Phoenix tradition – the annual Chinese New Year 5K Run & Wok. Route: You’ll enjoy a scenic, supported run or walk through Papago Park next to the zoo, then along the paved canal path behind the Botanical Gardens and back through the park past Hole in the Rock. Safe, no road crossings and flat! Do I get a MEDAL? 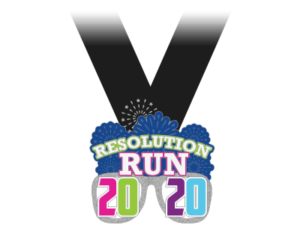 Yes, there will be commemorative Chinese New Year themed finishers medals for everyone, plus age division medals (age categories for every 10 years). Everyone gets a t-shirt and medal. Can we bring the kids? Absolutely! Papago Park is a lovely metropolitan park – plan to stay after the run to feed the ducks and have a picnic. Or go to the zoo! The course is stroller friendly, we just ask that you let the speedsters go off first! More Run/Walk Events: We invite you to join us for our other events this year. Check them out and sign up today! Race size is limited to 300 runners and walkers. Pick up your packet on race day after 7 am, or on Friday February 14th at Fleet Feet in Scottsdale (18261 N Pima Rd E 135, Scottsdale, AZ 85255) between 4 and 7 pm. Papago Park is beside the Phoenix Zoo, just south of McDowell Road off of Gavin Parkway. When you enter the park, head to the north end of the zoo parking lot. Park there and walk east to the start/finish of the race. You’ll see the big arch!